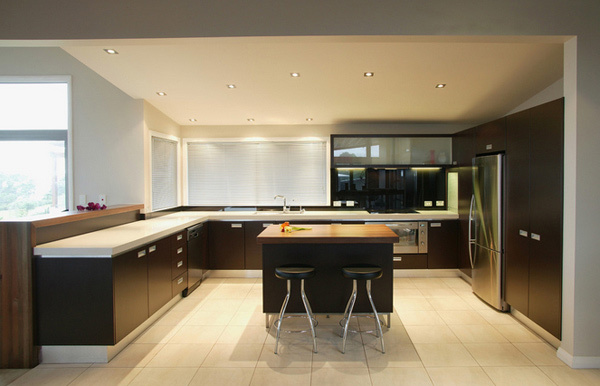 Remodeling is something anyone would love to do – just so if they have the time. Are we right? Remodeling makes it easier to create a space you actually need and still be able to make subtle changes depending on a few things – space, time, and budget. If you have those three things, might as well start planning out or checking online or magazine sources for more information about the changes you intending to do. 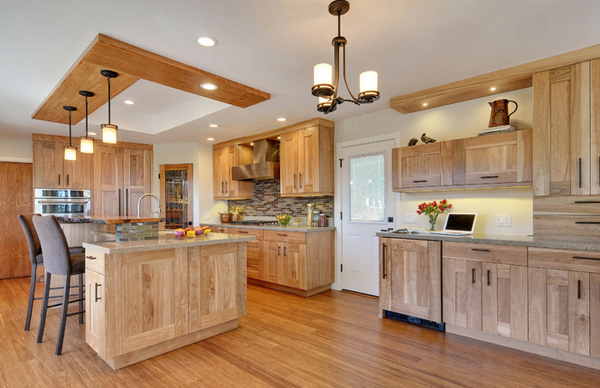 To start off on that research and idea formulation, we have created a list of 18 Beautiful Designs of Kitchen Remodels which can help us in mentally mapping out the space we want to be working on, and what ideas we can actually bring about along the way. Below are pictures we can all use to begin visualizing our planning and determine if they could actually work out well for you and your family. Take a look and enjoy! 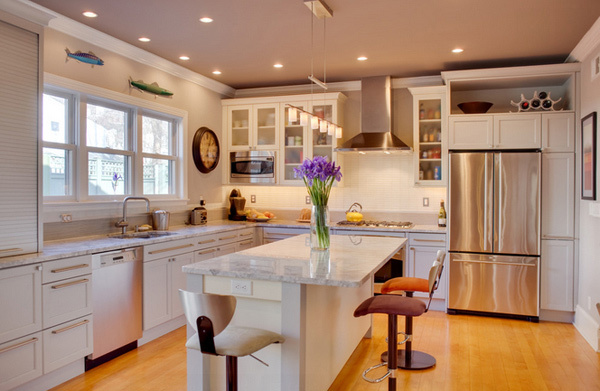 The owners didn’t want to ruin the kitchen’s open look with upper cabinetry, so he left the windows and extended the countertop to make room for extra base cabinets from Ikea. 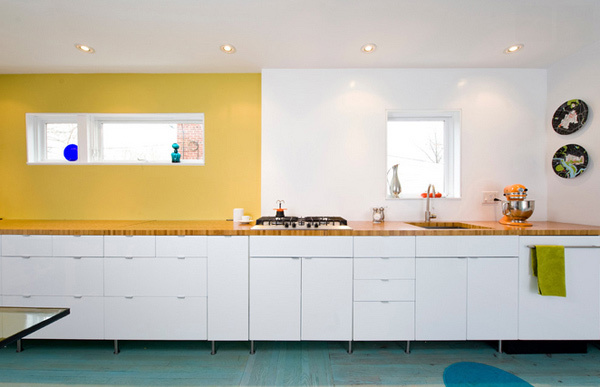 A bold block of Benjamin Moore yellow provides a subtle visual separation between the kitchen and the dining space. 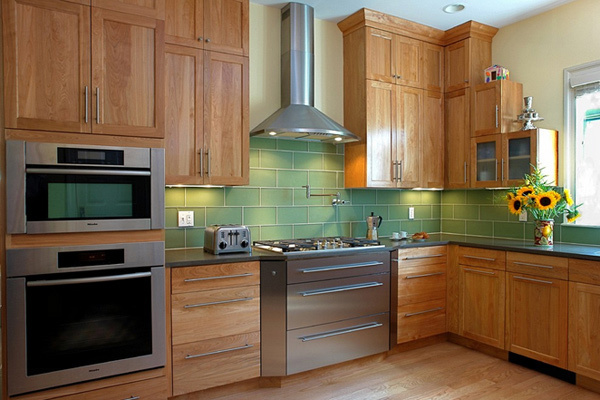 The geometric design pattern is balanced with strong horizontal lines in the simplicity of the cabinetry door style. 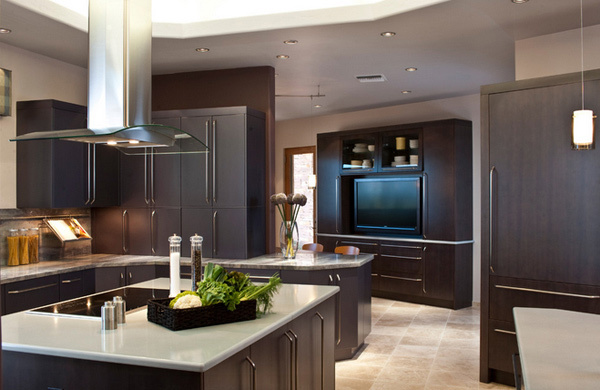 The soft curves of the island and range hood allow the eye to move effortlessly throughout. The client already had a movable island from their previous kitchen and went back and forth on whether or not to buy a new one. 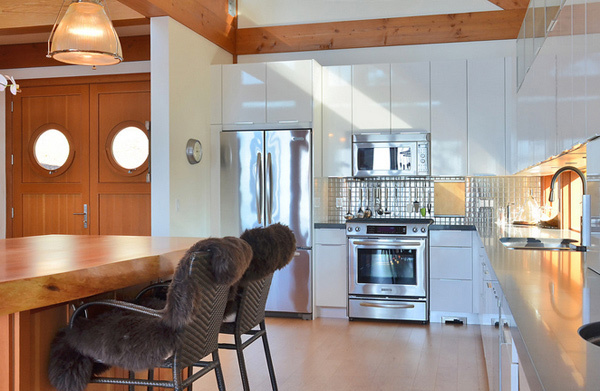 In the end, using the pre-existing island helped them save money and allows them to open up the kitchen completely if they like. The cabinets used for this kitchen is actually simple, but the backsplash gave off a bit of color that made this kitchen simple but classy. 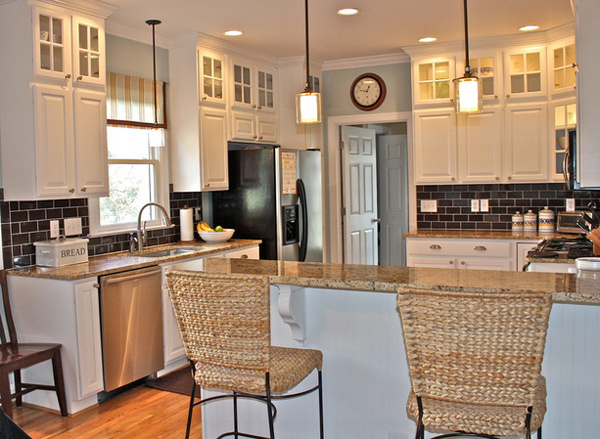 This Charlotte’s home used a dark glass subway tile backsplash with light cabinets and granite which made it all the more beautiful. The kitchen features high-gloss white Euro cabinetry by Merit Kitchens, a stainless steel square tile backsplash from Custom Flooring and KitchenAid appliances. This kitchen used dark colored cabinetry – with lighter colored walls and tons of windows, this space is beyond beautiful. 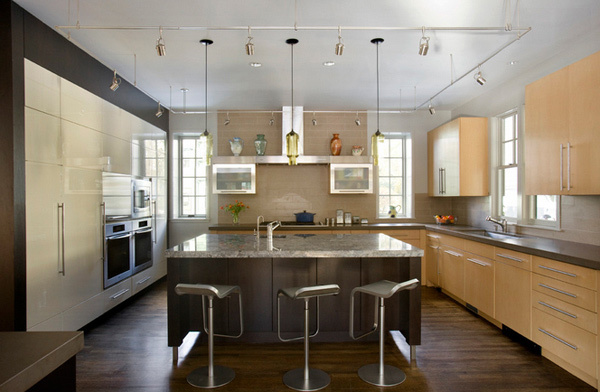 Each factor in this kitchen complements each other. Banquettes are built-in seats tucked into a corner to save space in a kitchen or nook. They can be designed in an L shape or as parallel benches, and can be used with or without chairs. This kitchen island is an example of a traditional use of marble for a kitchen island countertops. It is broad to show off the beauty of this great material. It stands out in the room but doesn’t overwhelm the space. It is complimented by chic chairs and faucets. It’s gorgeous! Those who prefer fresh foods, which are consumed more quickly than packaged, will likely require less storage space and more prep stations and countertop surfaces. If this is you, consider incorporating two full-size sinks. Place one at the wall surrounded by enough counter space on either side for chopping boards, and one at a large island to accommodate roomy workstations. The oversize kitchen island provides more than ample room for food preparation and also serves as a communal area for serving appetizers and drinks when entertaining. 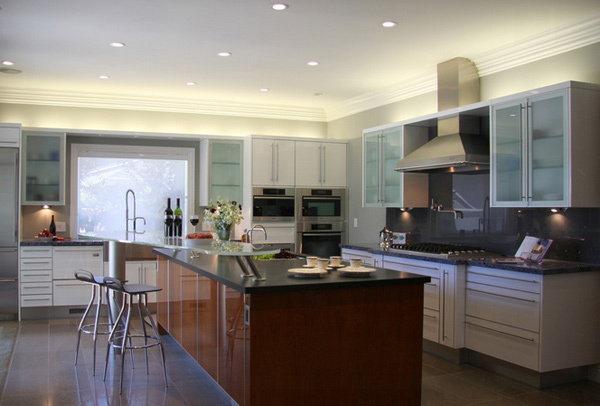 We love the kitchen cabinets with clear glass on both sides that give a view into the dining room. 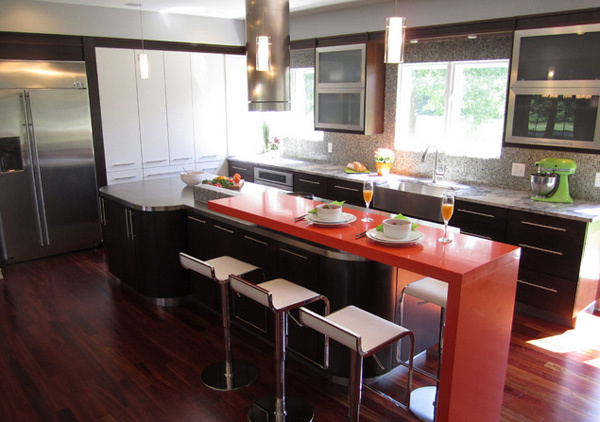 Danenberg Design made sure to have a dark island with light-colored surrounding cabinets and a dark counter top simply because it works and is super fab! Opt for clean-lined hardware. 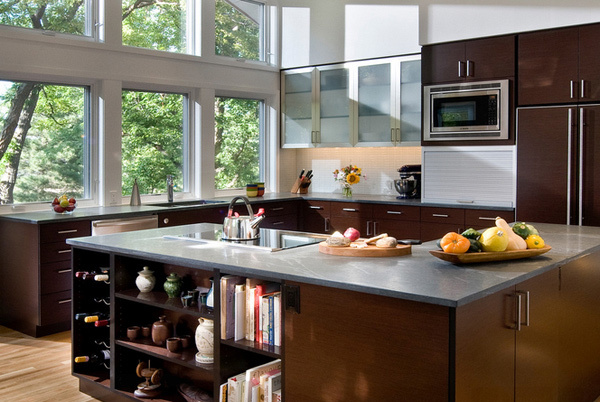 “Buyers prefer drawer pulls and handles to be just as clean lined as the cabinetry,” says Gangi. 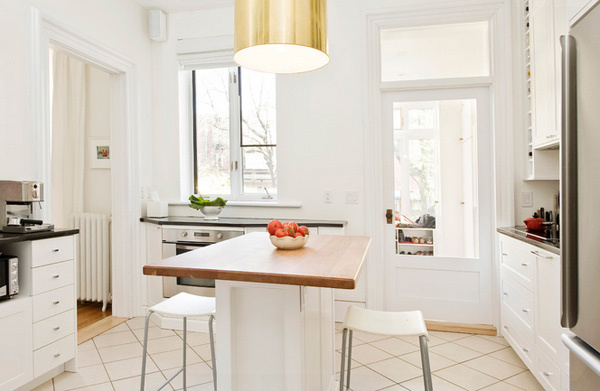 Some people love this entire color scheme because it’s simple, homey and somewhat refreshing! Something about this that we really like is the flooring – seems like it would hold up to anything and be easy to clean. Do you agree? 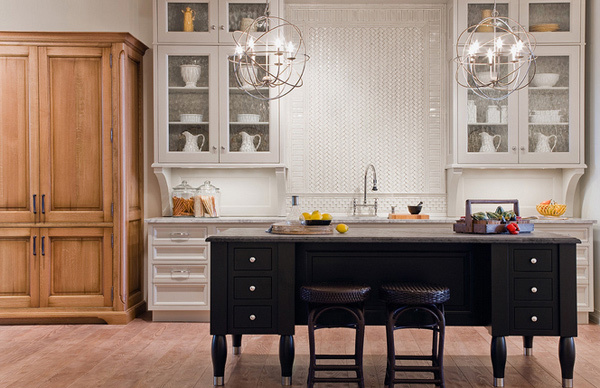 Pairing white herringbone backsplash tiles with orb-like lighting, an antique armoire and rattan barstools shows how “transitional” can be simply pulled off in a kitchen. 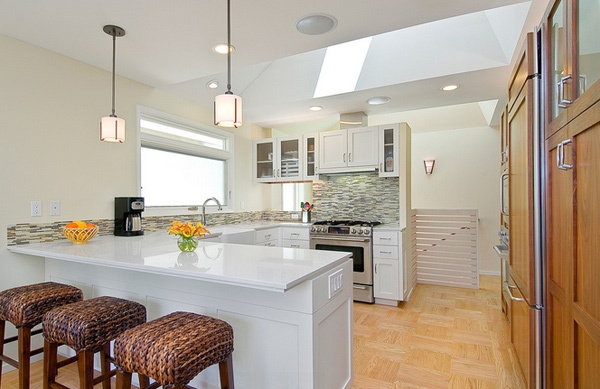 This remodeled kitchen by Rossington Architecture has skylights that effectively bring in natural light. Two openings can be seen in this photo – one above the stair and one above the kitchen. 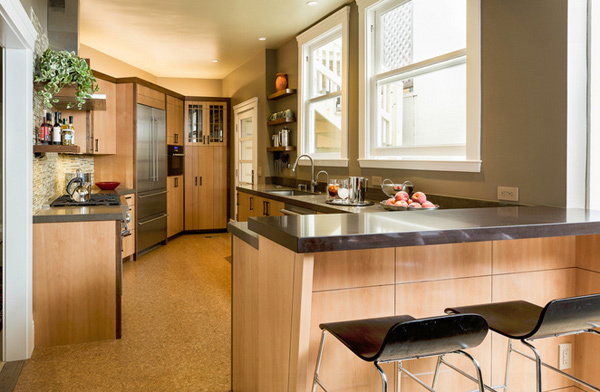 Paying close attention to traffic flow in kitchen remodels and planning another walking route if your dishwasher drops down into a pathway. And how was that for a start ladies and gentlemen? Go ahead and hit us with those messages and comments about the designs you were able to check out today. 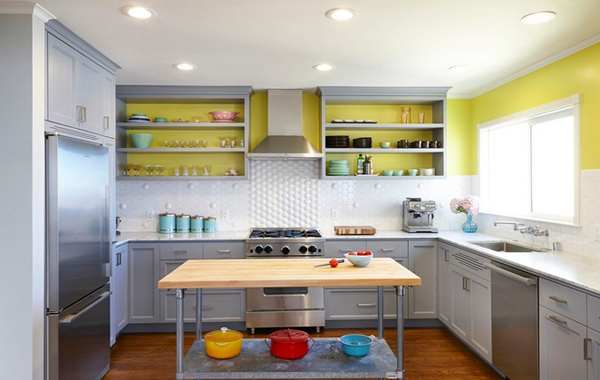 The 18 Beautiful Designs of Kitchen Remodels is quite an interesting list – not only because they are incredible pretty and quite awesome, but because of the many things we can actually get out from them. 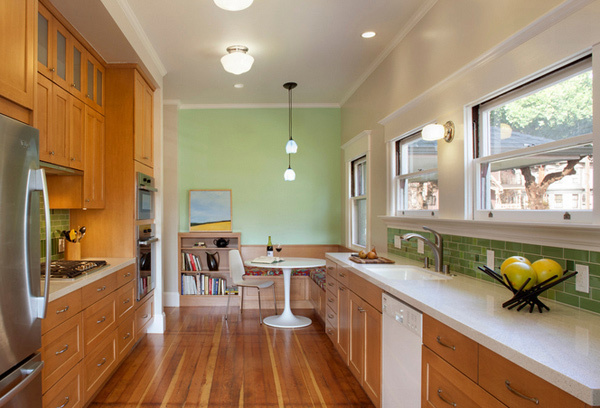 If you are interested on 15 Pastel Green Kitchens for A Lighter Look, take a look at them too and tell us what you think!